Which service did you come here for? Consulting from Rob England and Dr. Cherry Vu, Wellington-based IT consultants. Two Hills Ltd is our company (principals Rob England and Dr Cherry Vu), based in Wellington, New Zealand. When Cherry and Rob work together to deliver new ways of working and managing, and our Unicorn Management Model™, our services (consulting, training, and content) are provided under the Teal Unicorn brand. Unicorn because of the Agile iconography around the term "unicorn". The New Way Of Working because it is. Agile thinking is transforming IT, enterprises, government, and society. Our expertise is in organisational transformation, culture change, leadership, and operational practices: the combination of policy, plans and people to operate the organisation. We are heavy on common sense, as distinct from purist theory. We take a pragmatic, practical approach to deliver the results. We are sceptical of technology or process for its own sake. Our work is differentiated by our independence, frankness, and Kiwi no-nonsense approach. We understand business (and public service) imperatives. We are driven by return on investment, cost justification, necessary compliance, and risk control. We are passionate in our belief that the most essential transformation is the change to management and governance: New Ways Of Managing, agile Management. Two Hills Ltd provides real consulting: we charge for the hours we work and we work only when we are providing useful service to you, which is generally high level advice and planning (though we are also happy to roll our sleeves up and get things done for you too). We tend to steer away from 5-days-a-week contracting except when you need an operational role created or temporarily filled. Our primary consultants are Rob England and Dr. Vu, though we can bring in a number of experienced experts to help. We work for a wide range of organisations: local government, national government, businesses, not-for-profits. We have been engaged by some of the largest and smallest organisations in New Zealand and Vietnam. Some of our consulting is delivered through our Wellington partners DeFine Group, Integri-T, and Resultex. 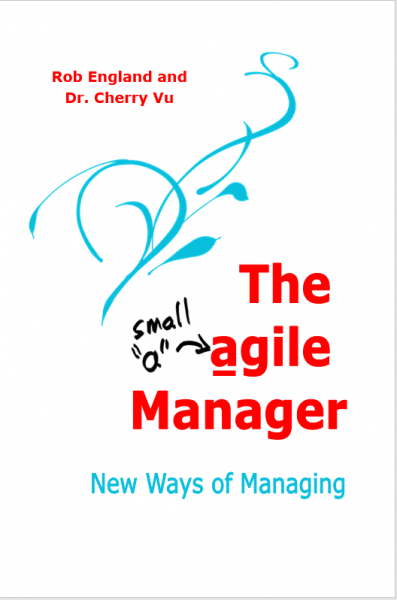 Consulting on Enterprise Agility: new ways of working and managing. I am very impressed with the way Cherry teaches us. She told us not to punish people when they’ve failed but reward them for their encouragement to try and fail. I understand that we need to flip the pyramid over. I start questioning myself: Why we are doing what we are doing? What is it for? [For] the first time in our company history, we have an improvement machine which helps to remove constraint and makes the workflow much faster. People start behaving differently, they work in a co-operative and supportive way toward a common goal. Our expertise is in IT transformation, culture change, leadership, and operational practices: the combination of policy, plans and people to operate the organisation. We work in IT governance, management, and operations. We know DevOps and Service Management. We use COBIT as our reference framework of choice, and we also extensively reference ITIL® best practices . We are moving away from a process-centric approach promoted by the likes of ITIL and ISO20000. These tools have their place and we still use them, but the emphasis should be on the New Way Of Working: empowering knowledge workers to be more effective in their own ways based on their own professionalism, within a framework of guidance support, measurement and accountability. Process design is a lower priority: we think it is too technical and theoretical. We prefer the practical approach taking selected elements from tools like DevOps, Lean IT, Adaptive Case Management, Agile, Kanban, Knowledge Centred Support, ITIL, and the outcome-based framework of COBIT. Service delivery remediation: troubleshooting dysfunctional service delivery functions and practices. Get your people and culture back on track. Service catalogue and portfolio: we guide the development of the heart of service management, the catalogue. This should be an early and central part of any service improvement programme, to focus and drive cultural change and to provide a linch-pin for all processes. Cultural change: when it comes to driving a service management mindset, we provide advice for planning and workshops for execution. Service lifecycle: approaches to service build and change, especially the integration of traditional waterfall approaches with Agile and DevOps to provide Multi-Speed IT capabilities. ITSM coaching: Help your staff through an ITSM improvement (please don't say "implementation"). Most consultants will provide either a one-off packaged engagement (eg. training course, packaged implementation) or continuous services by the day or week. Many organisations can only afford to do the ongoing work in-house, so an initial training and/or implementation package is purchased then the organisation is left to drift, going it alone. We provide an ongoing packaged service of regular ITSM coaching to keep your people on track, and to help overcome the day-to-day sticking points that arise. When you source content from Two Hills, you will get a freshness of viewpoint, an independence of opinion, and an originality of ideas that you won't find in many other providers of IT content. Our material is unique. If required, it is also provocative and quirky. Piecework writing: See Rob's portfolio of published content. He will write ghost content for articles, white papers, webpages, blogs etc. This can be organised remotely anywhere in the world via phone, VoIP and email. Public speaking: Rob has been invited as keynote speaker at a number of conferences, and invited multiple times by DevOps Enterprise Summit, itSMFnz, itSMF Australia, CCLearning PRINCE2, and Pink Elephant USA. He was voted best speaker at itSMFnz 2011 national conference and was voted second-best speaker at itSMF Best Practice Netherlands 2008. He can speak to a wide range of topics. Bid writing: Rob has considerable experience in the software sales industry as a business technologist: communicating between the need and the solution, between clients and techos, in a presales context. He is available on hourly contract to review, manage and/or edit your sales bids (RFI, RFP, RFT etc). This can be done remotely anywhere in the world via phone, VoIP and email. Books: Our books are here. New ways of managing and the Unicorn Management Model We provide our own New Ways Of Working training. Seminars and workshops. Two Hills provides a range of shorter workshops and seminars on a range of topics, based on the fresh, alternative IT ideas of Rob England. Visit our Workshops and Seminars page for details. DevOps training. Two Hills provides training on DevOps Foundation and Certified Agile Service Manager via our partner ALC. Visit ALC for details. Service Management: introducing the concepts. Presentation skills: Rob has presented many times to audiences from 3 to 300, and managed and coached presenters for ten years. A coaching workshop can be tailored to your individual skill or content needs, as you and Rob judge them. We use our own proprietary methodologies for evaluation, skills building and content development. Sales: Rob has been selling software for twenty years: as a presales techo, and as a manager and coach of presales people. Rob is heavily trained and experienced in selling. He has developed and delivered training and coaching for sales staff. Technical staff sales development: if presales people aren't in selling mode, or consultants are not bringing back opportunities, morale is low and cynicism high, product demonstrations take you backwards, or people don't have the skills to sell and close, then talk to Two Hills about a professional development program. Rob is highly successful at motivating and training technical staff.